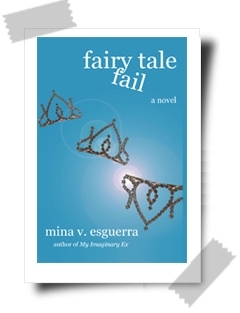 Of all the twenty-something women who are hopeless romantics, Ellie Manuel is more “hopeless” than “romantic.” Even after her Prince Charming broke up with her, she just won’t give up … because fairy tale heroines don’t live “happily ever after” right away, silly, they’re tested first! Determined to pass the test, she spends the next year restoring herself to the girl Prince Charming had fallen in love with in the first place. Until she discovers that life without him might not be so bad after all: her career is taking off, her confidence is back, and the cute guy at work is no longer a stranger. So when is it okay to quit on a fairy tale?